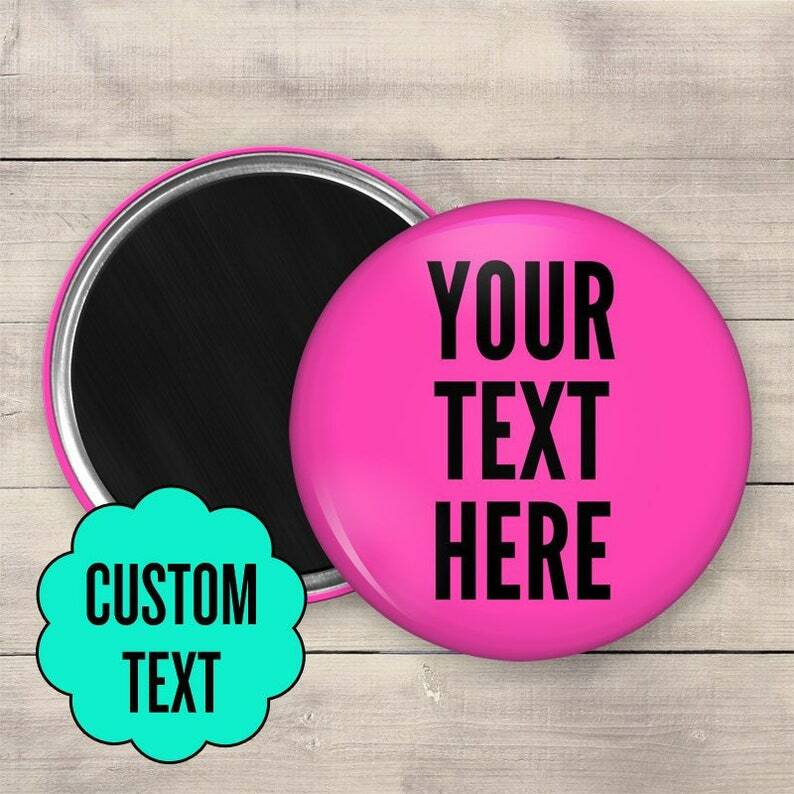 This listing is for ONE (1) 2.25" Button Style Magnet. Send us a message PRIOR to ordering and we'll be glad to do our best to bring your ideas to life. 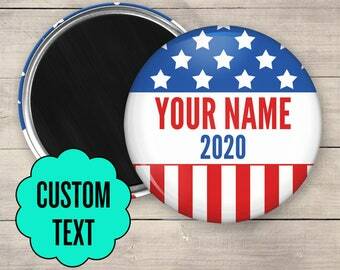 We will use your photo(s), logo, words, etc and put them on a pin back button. 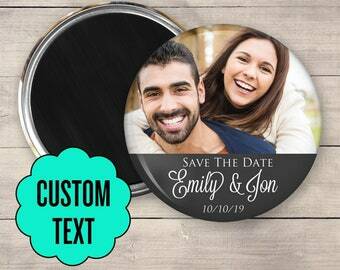 We can extend a discount if multiple magnets of the same design are needed. Contact us and let's work together! PLEASE NOTE: When sending in an image, your magnet will only be as clear as the image you send in. The higher the DPI (300)/Resolution, the better. If we have to design the magnet (more than simple text or cropping an image) then a design fee will apply. The color/font chart is featured in the images above. You do not have to select a specific color/font on that list if it doesn't fit your theme. If one combination works for you, then wonderful! If not, send us some examples of what you have in mind and let us create from there. Images are printed using a color laser printer on premium paper. Magnets are hand pressed using professional a button machine. 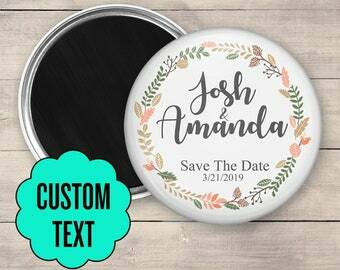 If you do not see a magnet /set you are looking for or if you would like to place a custom order, please send us a message. First time buyer, but not a last time buyer. The magnets are great and the text came out just as ordered. Nice strong magnet. Best product of it's type for the price (or any price). Item arrived and looked exactly like the proof they sent me. Small delay in arriving due to a post office error but that is no fault of the sender. I’m very happy with the finished product!